Did you know this about Antarctica? Everyone knows that the weather conditions down in Antarctica take no prisoners, but did you know that the coldest continent on earth is also the driest? The lowest ever recorded temperature is -53° Celcuis and Antarctica only receives approximately 2 inches of rainfall annually. 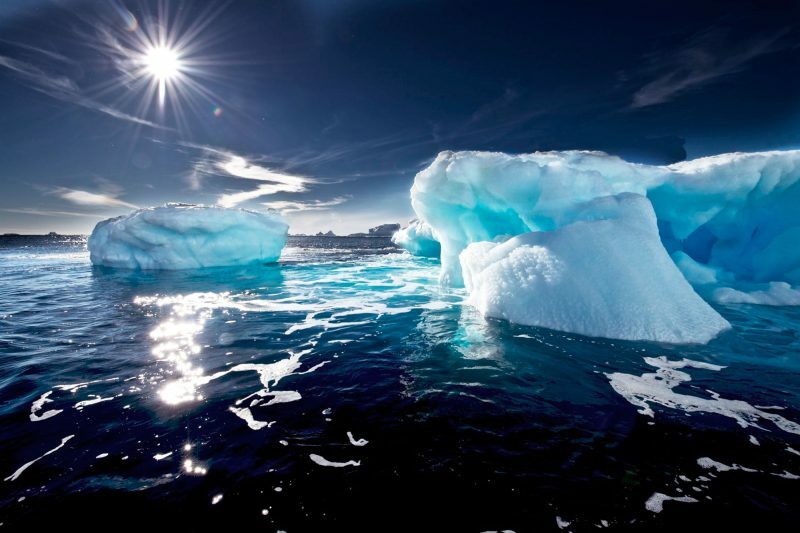 It is also the highest continent on earth due to a huge layer of ice, in fact 97% of the landmass is covered by an unbroken South Polar ice sheet up to 3 miles deep. Even Captain Robert Falcon Scott wasn’t too fond of the weather, writing in his diary on 17 January 1912 “Great God! This is an awful place.” We beg to differ! Antarctica is home to a wealth of wildlife, but did you know that the largest land-based creature in Antarctica measures less than half an inch long?! The title belongs to the Belgica Antarctica, a rather unappealing flightless midge. 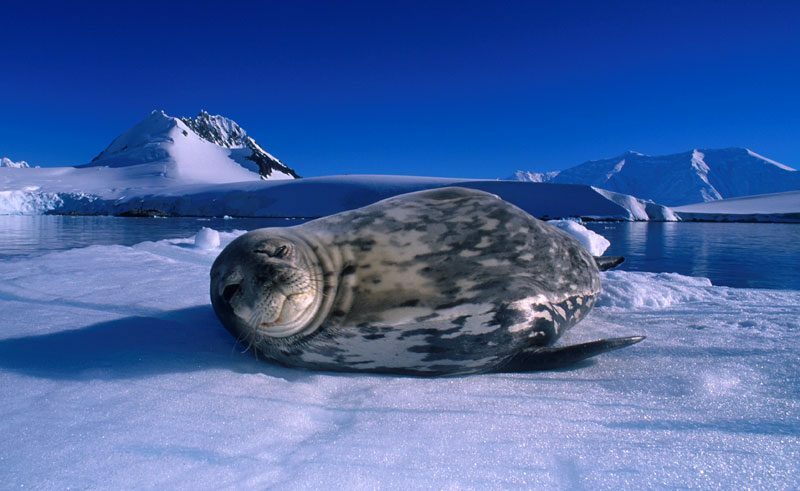 However, an abundance of much more impressive wildlife can be found in the waters around Antarctica – including penguins, colossal squid, seals, orcas and blue whales. The majority of creatures in Antarctica survive due to the key species of this ecosystem – the Southern Ocean krill. During feeding season a full grown blue whale can eat around 4 million krill per day – around 4 tons, every day, for 6 months! And even more bizarre, due to the very cold temperatures of the Antarctic waters, codfish have developed antifreeze in their blood to save them from freezing! Would you like to live in this beautiful continent? 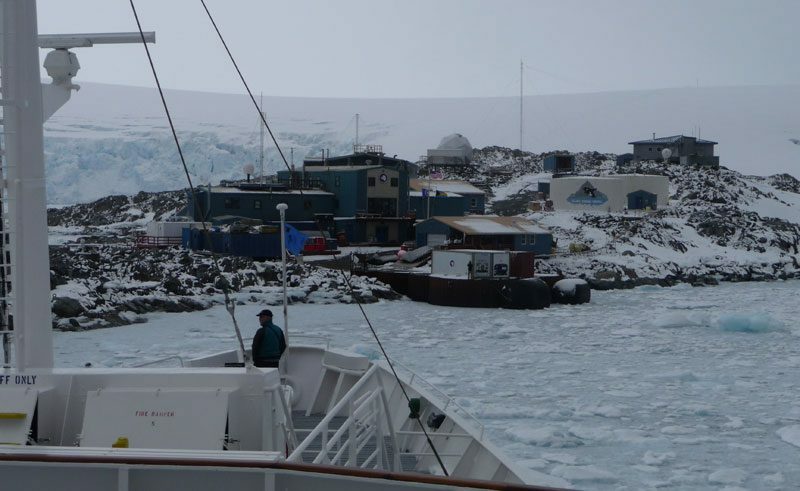 Although there is no record of native humans ever living in Antarctica, for about 4,000 scientists during the summer and about 1,000 in the winter, this is home. Antarctica is basically one large ice laboratory and there are 40 year-round research stations, not actually governed by one specific country, rather the Antarctic Treaty. This treaty was signed in 1959 by 12 countries and today is signed by 45 countries. The purpose of the treaty is to prohibit military activities and mineral mining while encouraging scientific research and protecting the continent’s sensitive environment. If you thought the London or New York marathon looked tough, what about doing a marathon in Antarctica? The Antarctica Marathon was the first official sporting event held on the continent, taking place on January 28 in 1995. It is now held every February on King George Island, the largest of the South Shetland Islands nestled just off the Antarctic Peninsula. Or if it’s a challenge within the Antarctic Circle you seek, then the ultimate test to the human body has to be the Antarctic Ice Marathon. This event is held at 80° south, at the foot of the Ellsworth Mountains, just a few hundred miles from the South Pole itself. If you’ve seen the films March of the Penguins or the animated Happy Feet, it has probably fuelled a desire to see these gorgeous creatures for yourself. 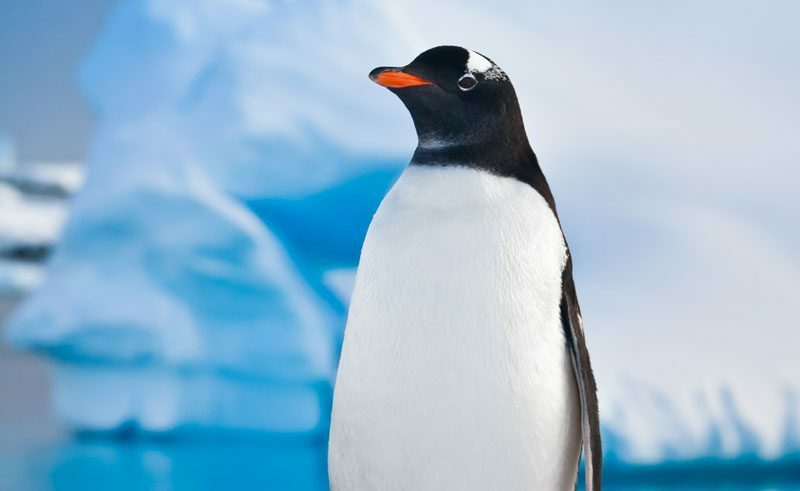 There are 17 species of penguin in the world, of which only 4 breed on the Antarctic mainland: Adelie, Emperor, Gentoo and Chinstrap. Penguins are not the best at flying but can step on it when necessary, even though they have no knees which results in their comical waddle!They manage to move quickly across the ice by tobogganing on their bellies, and can ‘porpoise’ through the water like torpedoes, usually to escape from predators. A penguin can stay at sea for weeks, swimming up to 50 kilometres a day! This however is an average and not the record as displayed by the emperor penguin which arrived on the Kapiti Coast of New Zealand recently. Have you met Mrs Chippy? Everyone onboard an expedition needs to earn their keep and that is what a true polar hero by the name of Mrs Chippy did. Despite the name, this tough tabby tomcat joined the crew on the ill-fated Endurance expedition. Mrs Chippy had the duty of catching the rodents onboard to prevent any damage to the stores. He was from Glasgow and belonged to the ship’s carpenter Henry McNeish. Mrs Chippy got his name by following Henry around like a possessive wife. In order to save his crew, Shackleton ordered that only the essentials be taken off the ship to continue to safety on land 350 miles away. This meant that poor Mrs Chippy needed to be left behind. After a sad goodbye and a tin of sardines as a farewell gift, McNeish left his cat as instructed. McNeish was convinced that his cat and the dogs left onboard were shot by Shackleton, although this is not clearly documented. Nevertheless, McNeish never forgave Shackleton for the fate of his cat but Mrs Chippy’s legend lives on today, in the form of a sculpture in Wellington, New Zealand, by McNeish’s gravestone. Antarctica is visited by around 15,000 – 20,000 tourists per year, with many stopping off at Port Lockroy. Located on Goudier Island near the Antarctica Peninsula, Port Lockroy is a ‘living museum’ where tourists can learn about the rich history of this site , which was originally a British base built during the Second World War. Today, proceeds made from the on-site gift shop are reinvested into the preservation of the building and its memorabilia, as well as to the conservation of other important sites in the region. Port Lockroy was recognised in 1994 as an important Historic Site under the Antarctic Treaty. 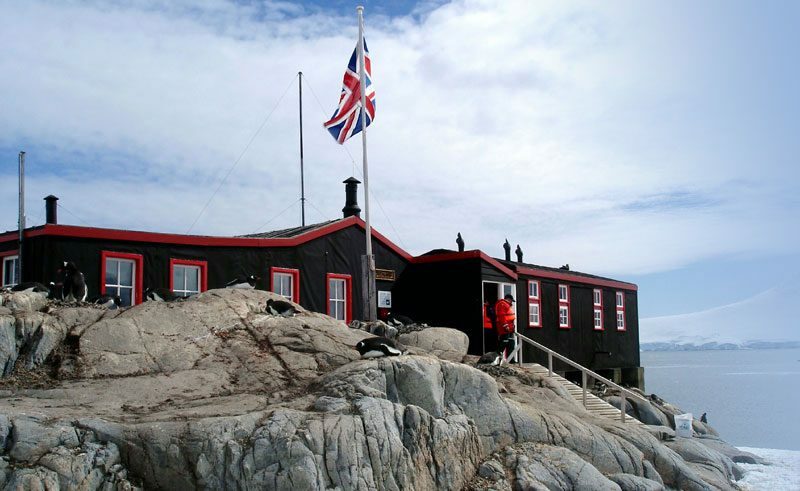 Interestingly, Port Lockroy is also the location of the southernmost British post office in the world. It is run on behalf of the British Antarctic Territory government and donates a proportion of its revenue to the UK Antarctic Heritage Trust. With all the visitors taking advantage of this service, to send loved ones a postcard from Antarctica, around 70,000 cards are posted to over 100 countries annually! But beware you may reach home before the card does, as it can take up to 6 weeks! In December 1911, the race was on between Amundsen and Scott to see who would reach the South Pole first. The Norwegian scientist Roald Amundsen had surprised Robert Falcon Scott by heading South secretly, having first pretended to be focusing on an Arctic Expedition. The unexpected race concluded when Amundsen reached the South Pole on 14th December 1911. Scott’s party arrived a heart-breaking 35 days later, and sadly perished on the hard route home. Many different factors have been contributed to the so-called ‘failure’ of the British Expedition, but as the debate goes on there is no doubt that these men remain heroes in their own right. Deep down in the South Shetland Islands, which lie off the Antarctic Peninsula, one can find the rather impressive Deception Island. Imagine an island made up of ash-glazed glaciers, volcanic slopes and a large flooded caldera in the shape of a horse-shoe. Here you can actually cruise into the centre of an active volcano, through the dramatically named Neptune’s Bellows! How many people can claim to have ticked that box? This unique spot was created approximately 10,000 years ago, when a violent eruption evacuated about 30 km³ of molten rock from Deception Island. The volcano summit collapsed to form the Port Foster caldera. This geothermal hotspot is still considered to have a significant volcanic risk, however some do take the plunge and dare to bathe in these temperate waters alongside the penguins – a nice contrast to the cool Antarctic air at least! 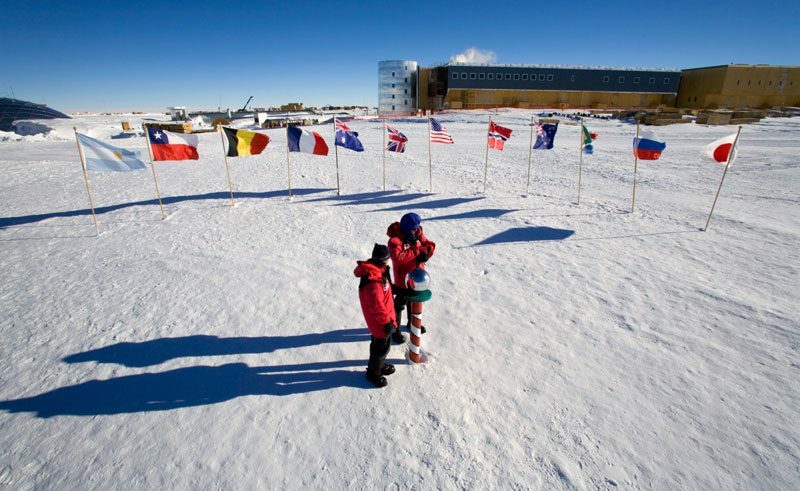 Speak to one of our Polar Travel Specialists and discover the south pole on one of our fantastic Antarctica holidays. Search for whales with a team of expert marine biologists on an Antarctic voyage with a twist. 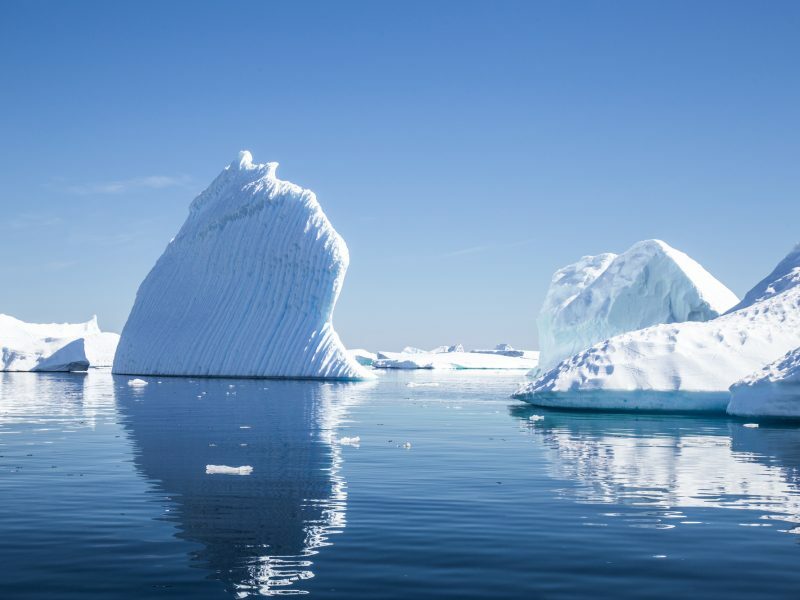 Polar specialist Jo Cooper, from our Worldwide team, recounts a memorable day on the Antarctic Peninsula - from breakfast with humpbacks to a Brazilian BBQ dinner.